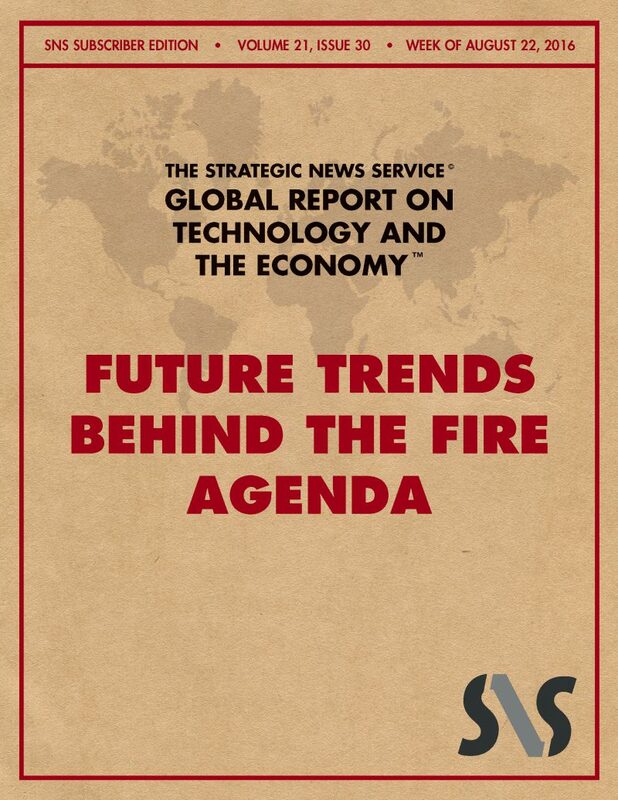 Every year, we make sure that our members are the first to see the Agenda for our Future in Review conference. Because this shows some of our most advanced thinking on the future of technology driving the global economy, we hope that it has value to all members, regardless of whether they plan to attend FiRe. And for those who are considering attending, it will provide a more detailed look at what they can expect to experience, and who they may meet. FiRe has become something quite different from other conferences. Companies are created and funded in real time, new scientific theories are shared, new laboratories founded and institutional connections added, and everyone has a terrific time doing it. The feeling is constantly electric. This year we will be pushing things just a bit further, since that’s our job. We are adding more funding power on the floor; more meetings on INVNT/IP, FiReFilms, and the SNS Carbon Trifecta; new FiReBooks for sale; and the announcement of a new SNS global initiative, together with the Harris & Harris venture firm – the UnDx (Undiagnosed) Global Initiative – uniting funding with six world-leading companies in genetics and related fields to find diagnoses at the edge of Precision Medicine. As members know from our two recent issues on this year’s theme of “The Power of Flows” (“SNS: The Power of Flows I,” 7/22/16; and “SNS: The Power of Flows II,” 8/11/16), we are evangelizing not just trend detection in technology, but also the creation of new theories of economics and computer system design. We think these will take a large position in future thinking and work, and we are proud that you will have heard about them first at FiRe 2016. We have now spent two issues describing the “flow”-related FiRe Agenda items in some detail. Today, we are pleased to be able to share the entire plan for FiRe 2016, together with the people who will be building on these new platforms. Together these form perhaps the best current indicator of our understanding of the trends in technology and the economy that will matter in the coming years.